The Law Society of South Africa (LSSA) joins the call by human rights organisations across the world in demanding that the international community take strong measures against Israel to put an end to the ongoing international human rights and humanitarian law violations perpetrated by the Israeli security forces’ use of live ammunition and snipers against civilian protesters. According to the UN High Commissioner for Human Rights, Israel’s actions in the context of Gaza amount to wilful killings which may be prosecuted as war crimes by the International Criminal Court (ICC). The prosecutor of the ICC is currently carrying out a preliminary examination into the situation in Palestine to prosecute and hold political and military officers accountable, in order to avoid further violations and to ensure justice. The prosecutor of the ICC must accelerate her ongoing preliminary examination and open an investigation without further delay. 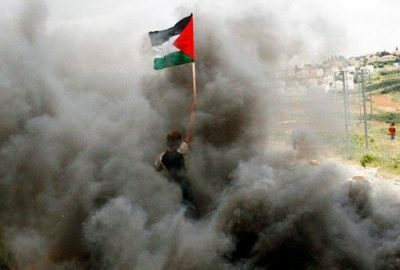 For the seventh week in Gaza, Palestinian protesters demanding an end to the unlawful closure of the Gaza strip and the right of return for refugees who were forced to flee from their land 70 years ago were once again met with dis- proportionate violence by Israeli security forces, who used deadly force. The LSSA calls for legal organisations worldwide to highlight the serious human rights violations and calls for an end to the killings, and for the UN to pressurise the Israeli state and its supporters to stop these atrocities. In releasing this statement, the LSSA acts in compassion and solidarity with the loved ones and families of those killed and does not subscribe to the view that any killing of civilians can be justified on the basis of political expediency. The inaction and absence of a political will by the international community and Israel to ensure respect for international humanitarian law will only exacerbate the conflict and allow for the chronic denial of human rights and justice to continue. It is essential that the international community takes immediate action to protect the civilian population in Gaza. We call on all concerned to engage in dialogue and peaceful means to resolve differences. We express our support for the South African government and hope it will do all it can to encourage peace and discourage disproportionate violence.